This image features the arteries in the upper chest, neck and lower head as depicted by MRA. Severe narrowing (stenosis) of the internal carotid arteries (ICA) is shown on both sides of the neck. 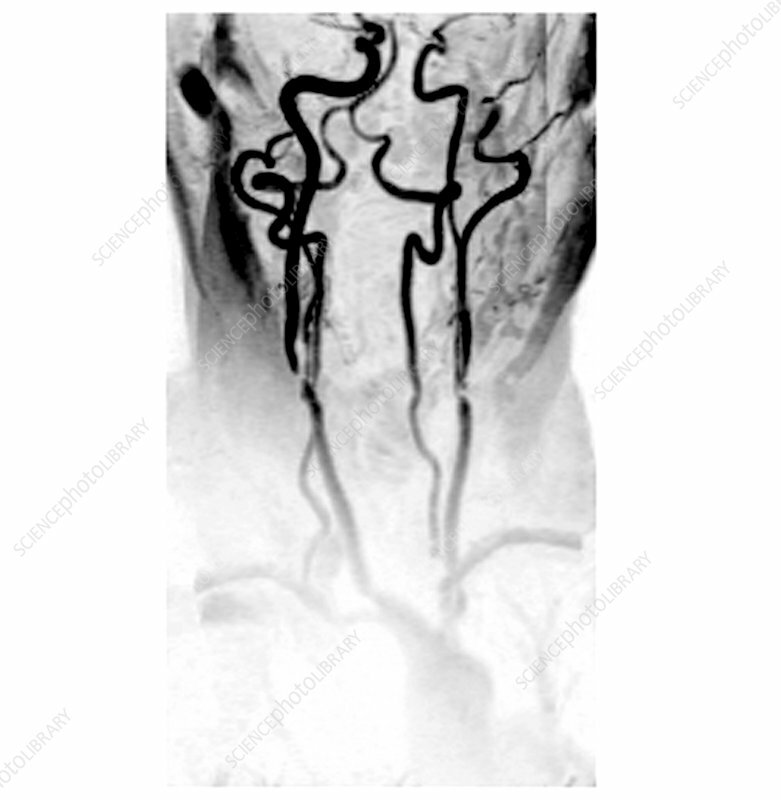 Flow within the blood vessels is illustrated in black. The areas of severe narrowing are seen as focal areas where the black flow becomes narrow or where there is no black signal at all.